SCENERY: Malibu Creek State Park and the surrounding area is still in recovery from the Woolsey fire, however the recent rainfall has brought out the greens and yellows of the canyon quite nicely. FUN FACT: Previous to being opened to the public in 1976, the park was used extensively to film numerous movies and TV shows, such as Planet of the Apes and M*A*S*H! When he’s taking a break from homebrewing Cask IPAs and Pale Ales, Darren Ruddell spends his time conducting research and teaching classes at the intersection of geospatial technologies, urban sustainability, and climate. As both an Associate Professor in the Dornsife Spatial Sciences Institute and the current chair of the USC Academic Senate Sustainability Committee, Darren is particularly interested in the effects of development on natural landscapes and the subsequent impacts that changing environmental systems pose on human health, well-being, and urban sustainability. If you’re itching to discuss the nuances of craft beer and environmentalism, then come join us! 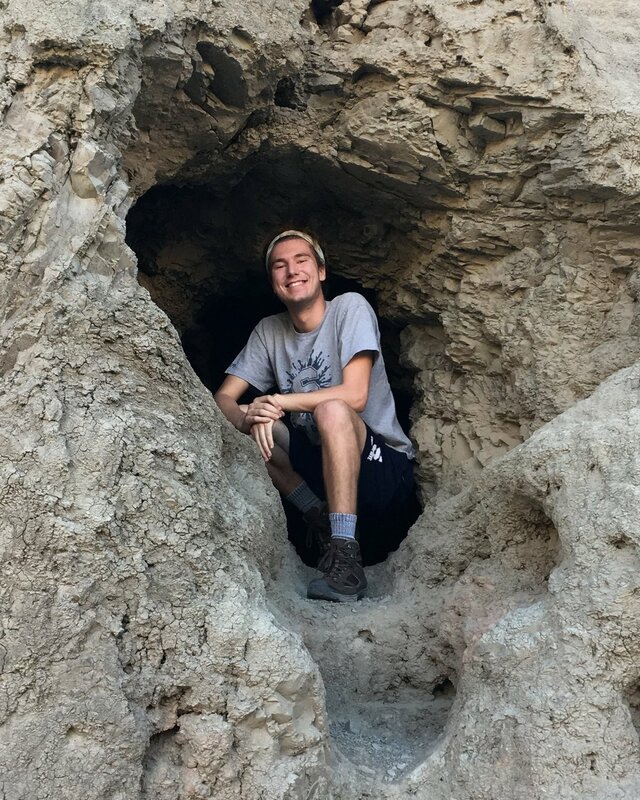 6’3” of SpongeBob references and bad geology puns.